Back in the day, it was okay for agencies to get paid big bucks to create an advertising campaign without being held accountable for how many customers it brings through your doors. This was in part due to the fact that there were limited ways to effectively track how many customers a campaign generated. Today, technology provides us with many tools to tracking marketing and advertising results. Unlike traditional agencies, Proximo Marketing Strategies is dedicated to measuring and tracking each and every investment in marketing that you make. Our team utilizes tools to measure performance, track return on investment and provide reports that show you how well your advertising is working for you. While technology is always changing and we are always adapting to take advantage of the latest tools to measure your marketing investment, we currently use tools like Google Analytics, dynamic call tracking, short links, QR codes, custom URLs and creative engineering to measure both digital and traditional marketing investments. We provide our clients with monthly reports that prove or disprove an investment’s viability and, based on this data, we provide advice to our clients about how best to make changes that will produce more efficiency and a greater return on investment. 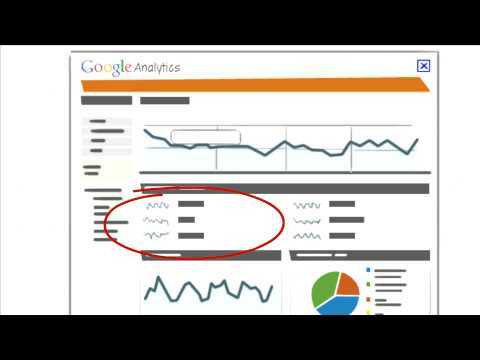 Click the video below to learn how we use Google Analytics to measure your success. If you’re looking for ways to hold yourself, your team and your advertising partners accountable for the dollars you invest in your advertising and marketing, talk to us today. We can create a plan to measure and track your exiting advertising, provide advice on how to accelerate your business growth and step in where needed to provide services that lead to your business’ success. We’ll start by giving you some basic education, and we’ll even install Google Analytics on your site for free. Use the form below or give us a call today to see just how Proximo Marketing Strategies can partner with your organization.